"All powers were taken away from the government during Yanukovych's times." Prime Minister Volodymyr Groysman has spoken in favour of adopting a new version of the law "On the Cabinet of Ministers of Ukraine" and the law "On the Powers of the Prime Minister of Ukraine." "If you take the law on the cabinet, you will see that the executive has very limited power to pass decisions. The Ukrainian legislation is very regulated, on the one hand, and there is a dualism of powers, which is also a problem, on the other hand," Groysman said in an interview with the Interfax-Ukraine news agency. He suggested that it was necessary to assign competences to each level of power, beginning with local self-government at the level of community, district and region. He added that it was necessary to adopt the new laws "On the Cabinet of Ministers of Ukraine" and "On the powers of the Prime Minister." "Take any organization and its manager - the manager can issue an order, an instruction and so on, while I, as the prime minister, do not have the right to do it. It was back in Yanukovych's time that most powers were taken away from the government so that the government could not decide anything," the prime minister said. According to Groysman, more authority to pass decisions will come with greater responsibility. 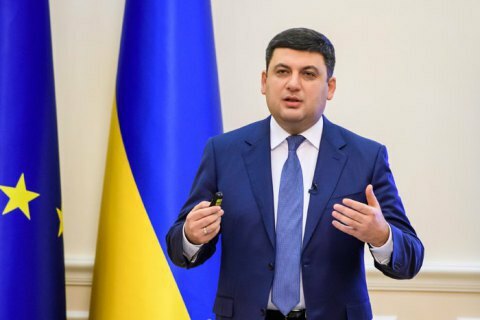 Earlier Groysman said that he considered the powers of the prime minister and the government to be much smaller than the tasks facing the executive power.